Ships and professional boats > Tourist and Recreational boats > Sightseeing boat > JET CAPSULE S.r.l. Be cool, private and dry in your six meters (20ft) jet. 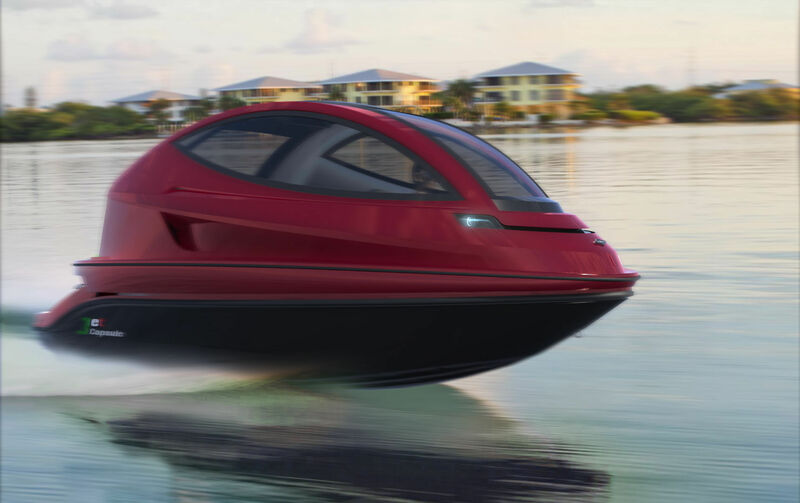 Deriving its basic design from a jet ski, the super jet capsule is able to accommodate up to 6 passengers and one pilot within its air conditioned habitat. a small and private jet, the aerodynamic shell is completely fabricated in dry carbon infusion, which keeps the total weight of the boat under 1500 kg/3300 lbs. the interior was designed to ensure continued luxurious convenience from ship to shore. innovative technology addresses every desire from an automatic docking system, photochromic windows, shock absorbent seating, ample hidden storage and LED lighting. 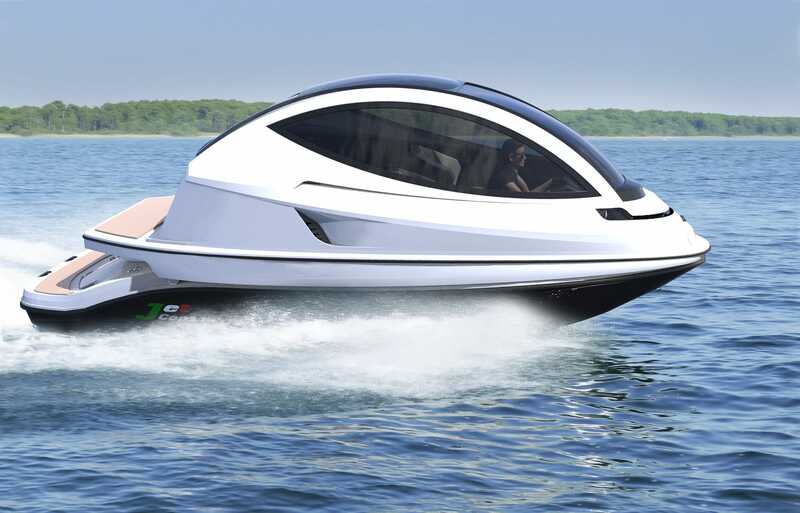 with twin 250 hp petrol engines (500 hp) the super jet capsule can reach an estimated top speed of 70 knots. for a more eco-friendly alternative, the same structure can be equipped with twin 80 hp (160 hp) electric engines, capable of pushing the vessel to a maximum speed of about 30 knots with up to 4 hours of autonomy or twin 160 hp diesel (320 hp) to reach 38 knots. 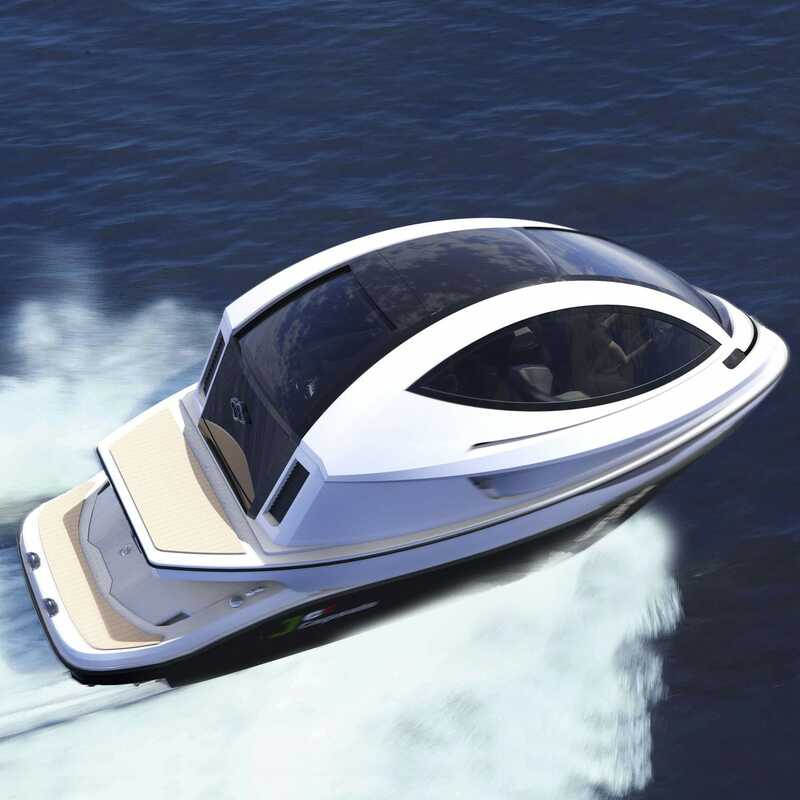 unlike its bigger sister (the standard jet capsule is 7.50 meters LOA x 3.50 beam 3500kg) the super jet capsule can be easily towed with the most common boat trailers available on the market. company founders luca solla and designer pierpaolo lazzarini expect delivery of the first super jet units to begin at the start of 2019.